In direct competition with Sequoia National Park, Yosemite invites visitors to their own grove of giant sequoias. 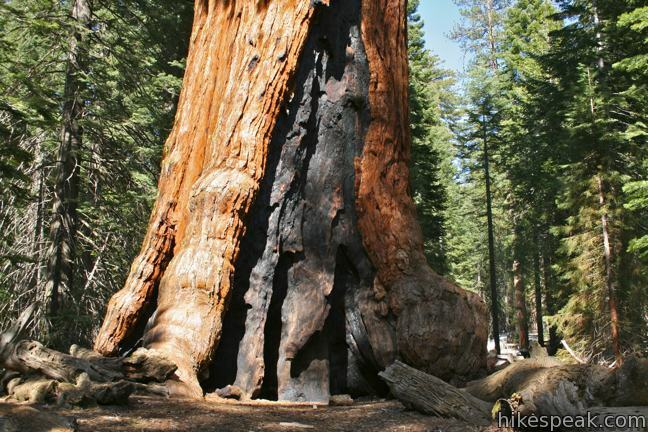 What about the General Sherman Tree, the biggest tree in the world, can Yosemite’s Mariposa Grove match that? Well Grizzly Giant is pretty impressive, but there are better things to do in Yosemite than measure the waistline of every tree in the forest. 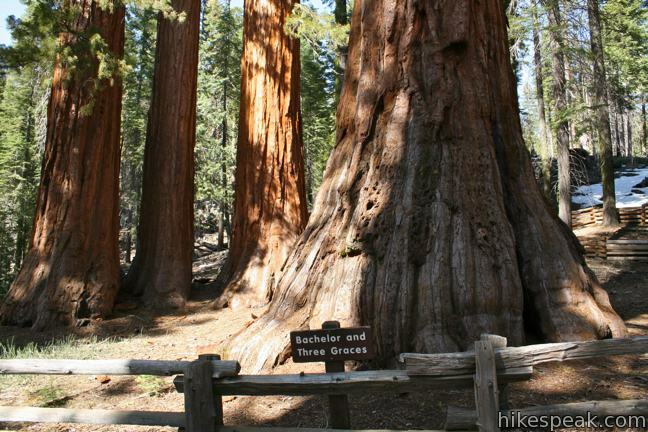 In truth, every giant sequoia grove is remarkable. The experience of walking through a forest of freakishly large trees should not be missed, whichever park you visit. 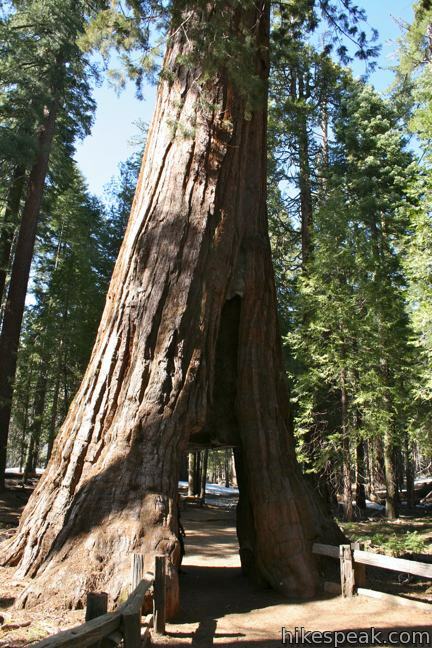 There are several trails within the Mariposa Grove of Giant Sequoias as well as a paved road used by a free tram that brings visitors directly to the Grizzly Giant and the Mariposa Grove Museum. Both the tram and museum close for the winter. Update: After 3 years of major restorations, Mariposa Grove is set to reopen on June 15, 2018. 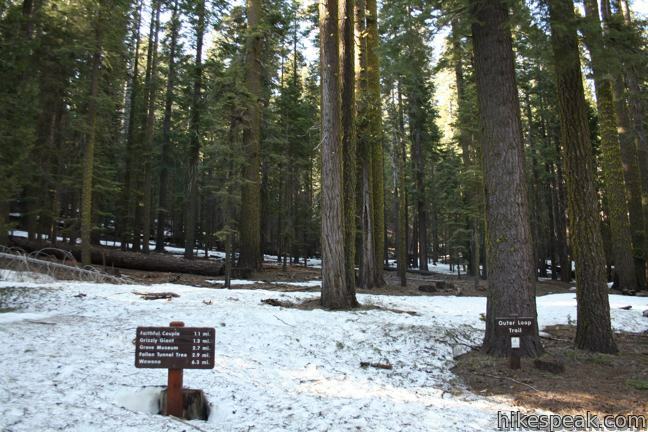 There are numerous options for exploring the Mariposa Grove on foot. It is 1.6 miles out and back to the Grizzly Giant and California Tunnel Tree with 400 feet of elevation gain. To reach Wawona Point Vista at the top of the forest is a 6-mile hike with 1,200 feet of elevation gain. Another trail to consider is the Outer Loop Trail, which provides sequoia solitude at the edge of the forest. Head up the leisurely trail and revel beneath the enormous beauties. The trail crisscrosses the road passing a grouping of sequoias called the Bachelor and Three Graces to arrive at the Grizzly Giant after 0.8 miles. 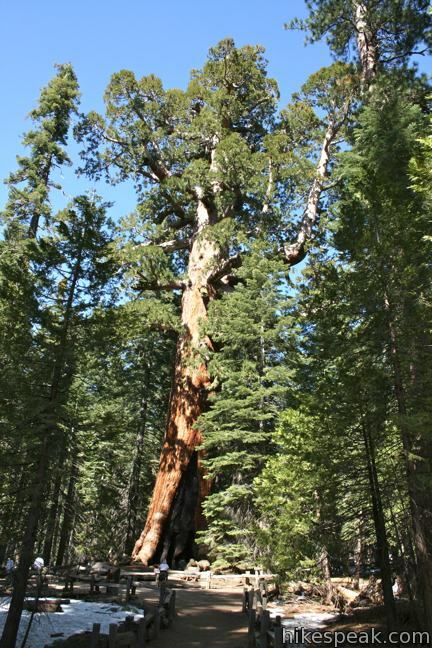 The 1,800-year-old tree is 209-foot tall with a 96-foot circumference and a diameter of 28 feet at the base. 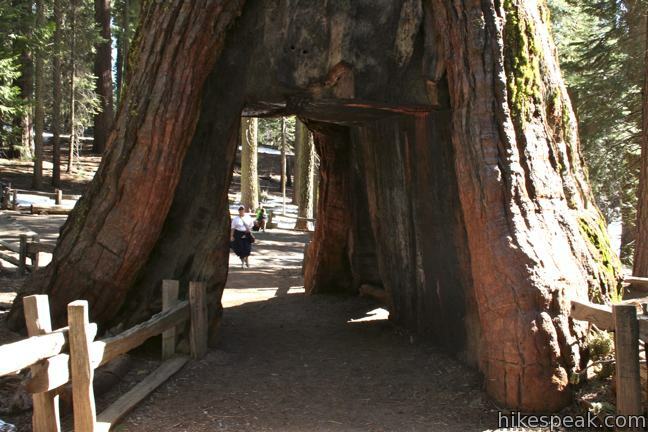 A few paces from the Grizzly Giant is the California Tunnel Tree, a live Sequoia that was driven through in the old days and can be hiked through now. Both trees are sure to impress. 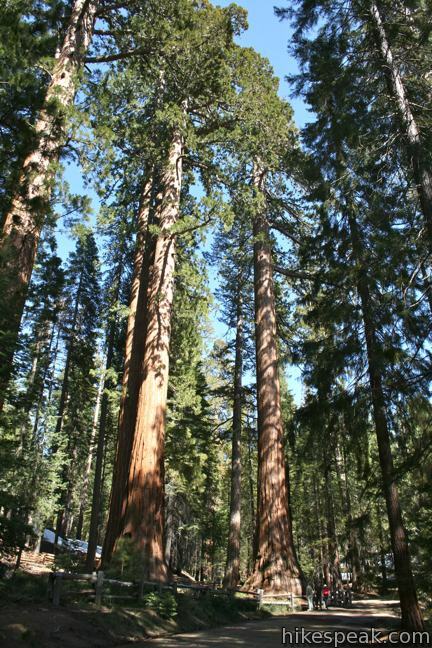 Giant sequoias are the largest species of trees in the world by volume. Regular trees look like saplings standing next to them. 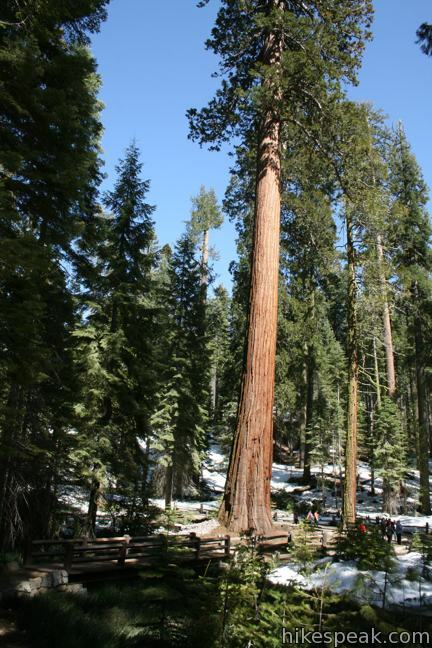 An average giant sequoia can grow to be a thousand years old and more than twenty feet across. 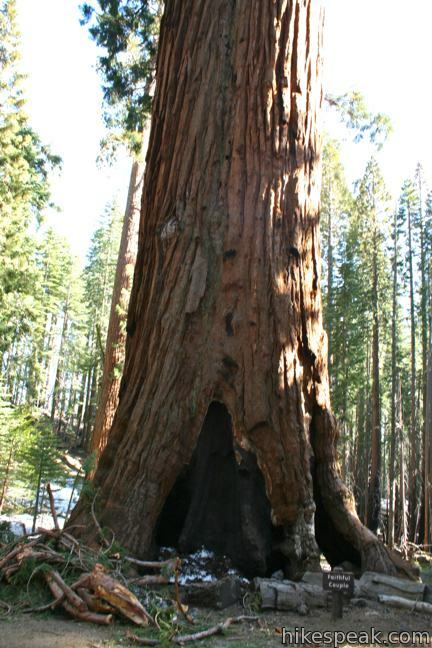 These special trees grow only in California on the west side of the Sierra Nevada Mountains between 5,000 and 7,000 feet, this makes every sequoia grove a very special place. From the California Tunnel Tree, it is another mile (and 200 vertical feet) to the Faithful Couple. This entangled pair of giant sequoias, classified by botanists as a twin, represents a fun growth pattern among sequoias. While many sequoias are close, two trees rarely reach this level of intimacy. To stay so close after hundreds of years, through thick and thin, and more wildfires than they care to remember must be an inspiration to the surrounding forest. 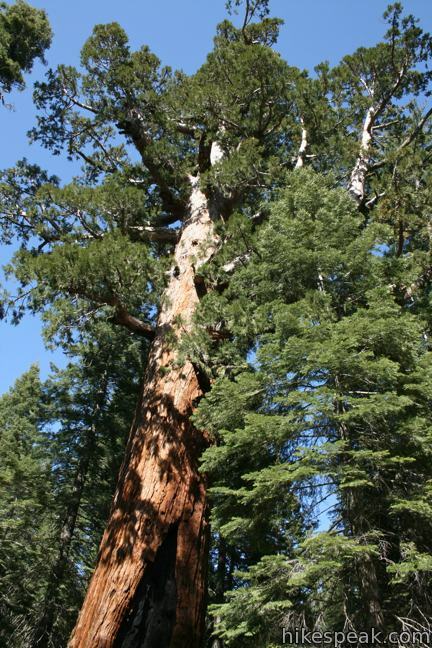 About wildfires, reach out and touch at least one giant sequoia. They have a soft outer skin that is designed to burn off during a fire while keeping the vital bark below intact. This survival technique is key to the sequoias longevity. 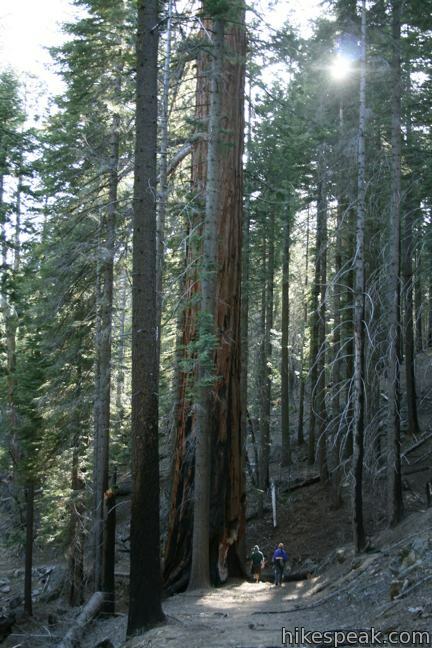 Giant sequoias also require fires for germination and to clear away smaller (i.e. regular sized) trees. For this reason, you will see evidence of controlled fires that are burned throughout the grove. Prescribed burns conducted by the National Park Service replace natural wildfires while keeping visitors safe. From the Faithful Couple it is 1.25 miles back to the trailhead via a section of the Outer Loop Trail. Of course there are more great giants farther up the grove, so carry on until you have had your fill. It’s impossible to get too much of Mariposa Grove. Mariposa Grove is located near the south entrance of Yosemite National Park where an entrance fee is charged. Access to the grove may be limited during the busy summer months. 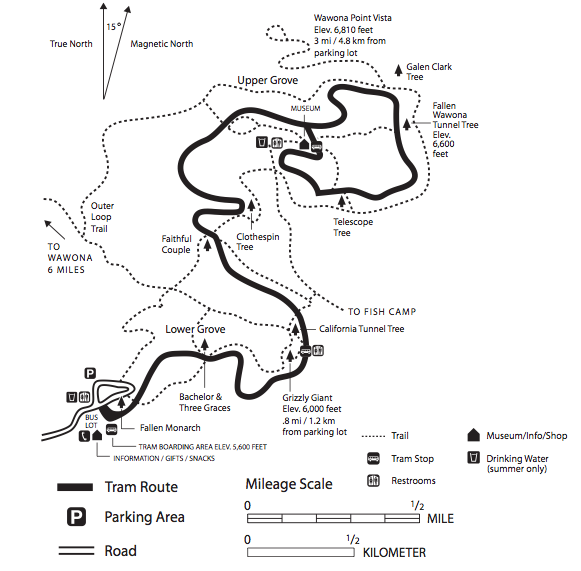 To get to the trailhead: From Yosemite Valley, drive 26 miles down Highway 41 to the south entrance. Just before the gate, turn left up Mariposa Grove Road. The parking area for the grove is 2 miles up at the end of the grove. These photos were taken in May of 2011. Click to enlarge. This 0-8 mile loop in the Grant Grove passes through a Fallen Monarch to reach the General Grant Tree, one of the world’s largest sequoias. 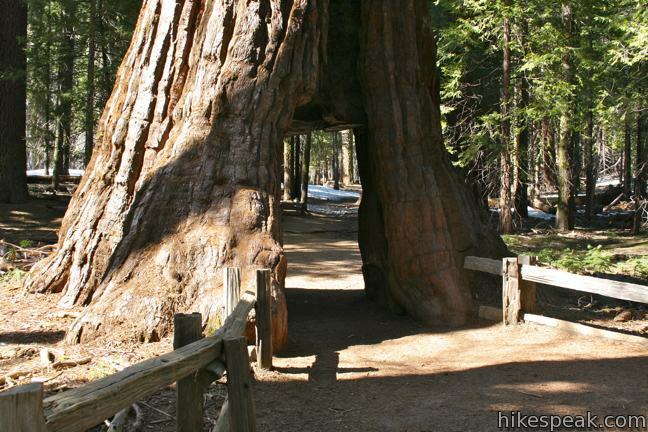 This one-mile hike visits the world’s biggest tree, a 275-foot tall Giant Sequoia that is 36.5 feet across at the base. 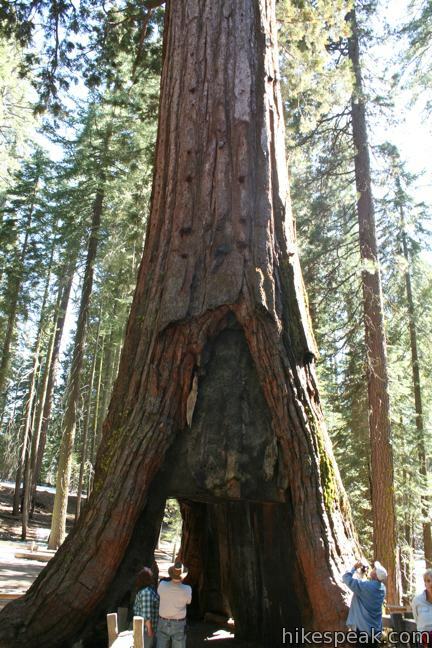 This level 1.6-mile loop visits a Sequoia you can stand inside (Chimney Tree) and another that someone used to live in (Tharp’s Log). 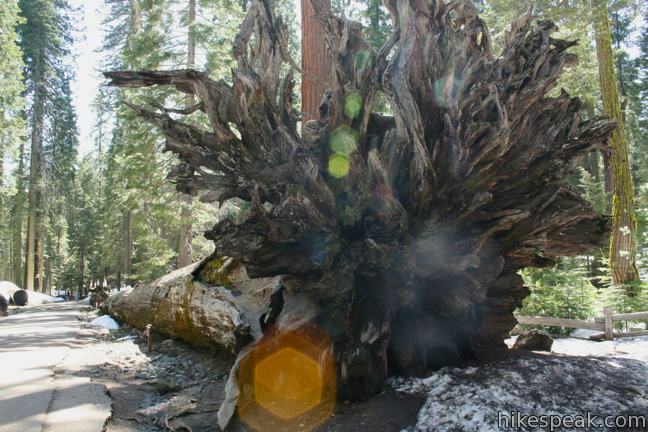 Will the tram or buses for viewing the Mariposa Grove be operating on April 23, 24, 2015? If not, can one still use the trails for walking through the grove? We are coming end of August, early September. 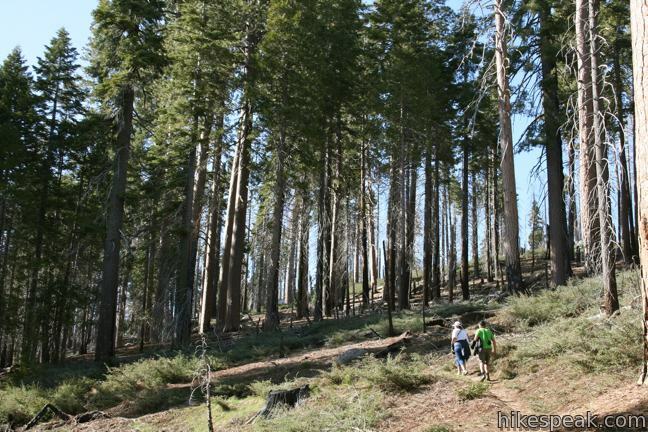 We don’t mind hiking to access Mariposa Grove – is there still access at this time? 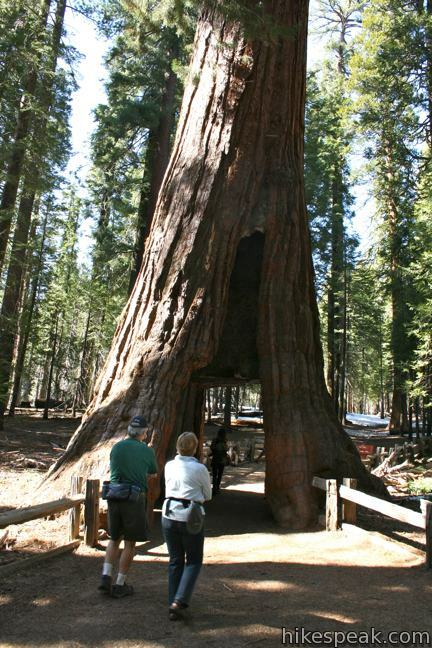 Sorry, but Mariposa Grove will be closed in early July 2015 for 2 years. You’re right. 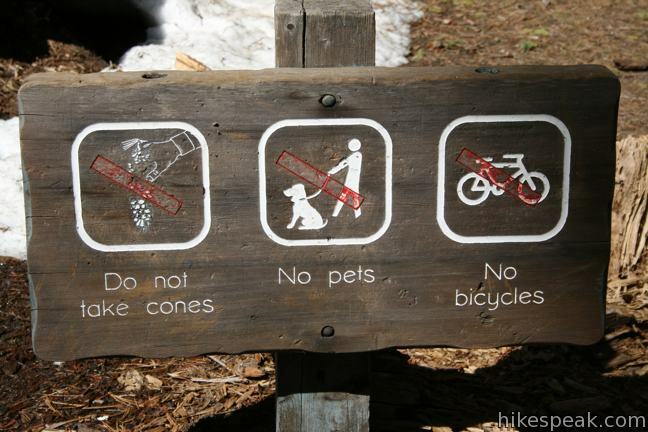 Looks like Yosemite has a major restoration project planned! 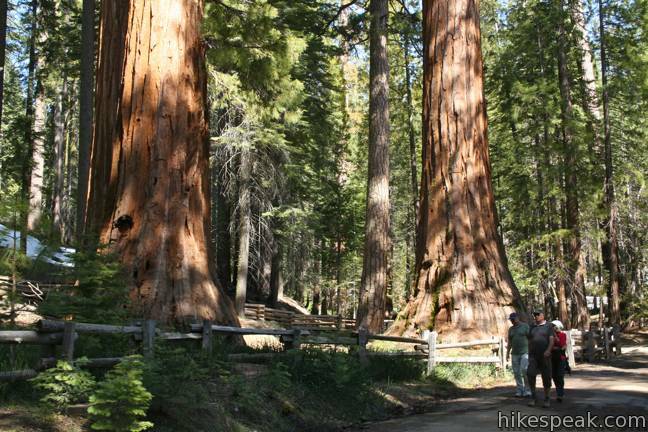 Driving from San Franciso, whats the best route to the Mariposa Grove.